I have been meaning to buy a really big hook for sheets and t-shirt projects for some time. 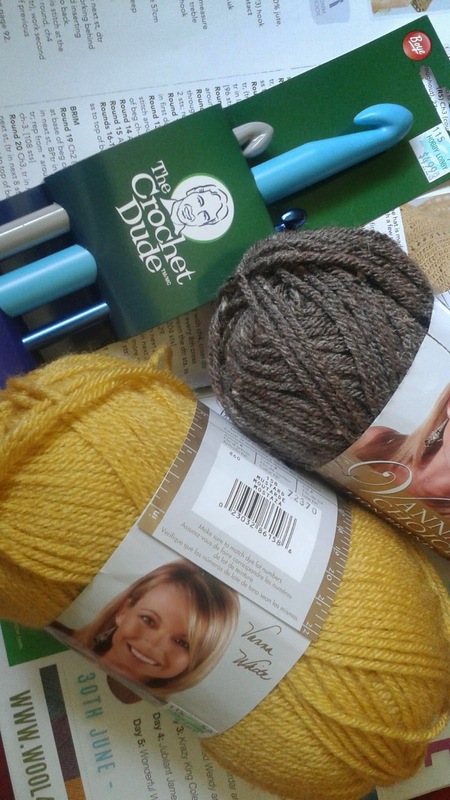 Found this very reasonably priced pack of three for $4.99 from The Crochet Dude. He lives in Houston like me so have to be a fan. The yarn is for a giraffe for my nephew who LOVES them. Criteria for choice - softness, colors and price. Hobby Lobby does a 40% off your most expensive item coupon which I just love. Bargain.